“A gripping exploration of women as politicians–and a primer for those befuddled by what the ‘women’s vote’ really is.” Kirkus Review, October 1, 1993. 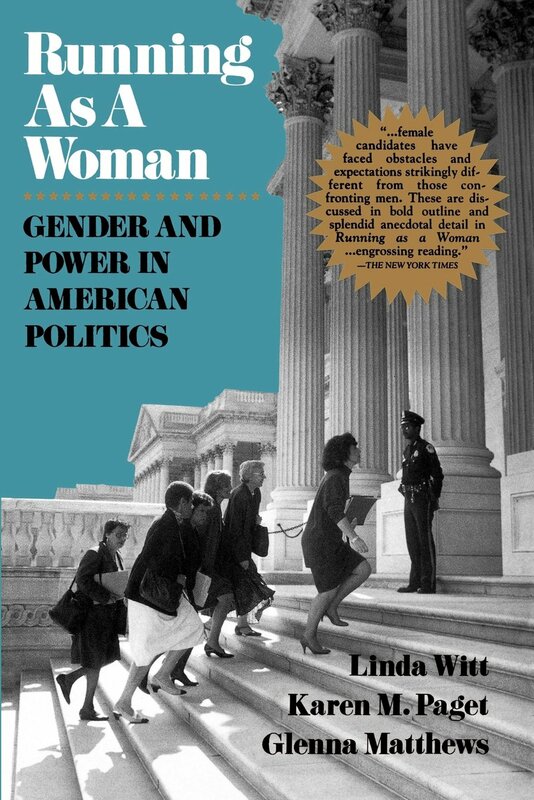 “This is a smoothly woven narrative combining historical material on women’s candidacies since the early 20th century, using information gathered during in-depth interviews with such contemporary female politicians as Geraldine Ferraro, Nancy Kassebaum, and Patricia Schroeder.” Library Journal, October 1,1993. “With vivid journalistic detail and penetrating analysis, Witt, Paget, and Matthews investigate the dramatic changes in women’s political role in their century and especially in the last two decades. The Hill/Thomas hearings catalyzed a dramatic shift in the landscape of American politics in 1992. Running as a Woman tells the story behind this momentous change, a story of decades or arduous, often painful and invisible, work which combined the skills and experiences of national networks with the dedication of women in grass roots communities throughout the nation.” Sara Evans, Professor of History, University of Minnesota.